Australia needs to help build maritime governance in the Indian Ocean if it is to take advantage of opportunities on offer. Australia’s adoption of the “Indo-Pacific” as a way of seeing its neighbourhood is a welcome change. The term reflects a broader perspective that moves away from an overwhelming focus on the Pacific to include much of the Indian Ocean – a region where many of Australia’s future opportunities lie. This shift is leading to a much greater Australian focus on the Indian Ocean region, in both security and economics. Some fifty years ago, Australia was active in helping to create a stable regional order in East Asia to promote economic prosperity for all concerned. Today, Australia needs to help build a stable regional order in the Indian Ocean to fully benefit from the economic opportunities there. This includes paying more attention to taming the vast, virtually ungoverned spaces of the Indian Ocean – Australia’s “Wild West”. Australia needs to help build maritime governance across the region. Compared with the Asia-Pacific, where there is a veritable alphabet soup of active institutions involved in regulating the high seas – the ASEAN Regional Forum (ARF), ASEAN Defence Ministers Meeting-Plus (ADMM+), and Regional Cooperation Agreement on Combating Piracy and Armed Robbery against ships in Asia (ReCAAP), to name just a few – there is little cooperation among Indian Ocean states. But it is not only a matter of expanding the remit of Asia-Pacific groups, or replicating them in the Indian Ocean. There are some big differences between the challenges faced in the Indian Ocean and those in the Pacific. Security challenges in the Indian Ocean are mostly transnational in nature, including the involvement of non-state actors in piracy; smuggling of drugs, people, and arms; and illegal, unreported, and unregulated (IUU) fishing. The Indian Ocean is one of the least governed oceans in the world. Maritime criminals benefit from a lack of regional policing capabilities in the Indian Ocean and often find useful synergies between these activities. In the Pacific, much of the focus is on a multitude of maritime boundary disputes, many of them involving China. Although there are disagreements of this kind in the Indian Ocean, it is generally accepted that they should be resolved through peaceful processes, in accordance with the United Nations Convention on the Law of the Sea (UNCLOS). But in general, compared with the Pacific states, Indian Ocean states are a lot less organised, and many have few maritime capabilities. Numerous developing Indian Ocean states struggle to effectively govern their own maritime jurisdictions. This means that the most immediate challenge is to build a basic level of capacity and cooperation among regional states. Australia and others, such as India, have been working hard in recent years to make existing regional groupings more effective, or effective at all. Although the Indian Ocean Rim Association (IORA) included maritime security in its remit in 2014, it is only now starting to grapple with some maritime security issues. The only other pan-regional grouping is the Indian Ocean Naval Symposium (IONS), which brings together the region’s navies. Although it has been slow to make headway, the grouping did hold its first naval exercise in Bangladesh in 2017. Last week, Iran took the chair of IONS in a meeting of regional naval leaders. Tehran predictably used the forum to attack the US role as a security provider to the region. While some may not see this as terribly helpful, it should be remembered that groupings such as IONS reflect the great diversity of the Indian Ocean region. There is value in building inclusive groupings that allow for the expression of diverse perspectives. Two areas of cooperation/capacity-building currently under the spotlight are in maritime domain awareness (MDA) and coast guard cooperation. It has become clear that better MDA in the Indian Ocean is a basic requirement for taming the “Wild West”, and that this can only be achieved through regional cooperation. Over the past year or so, there have been several proposals to build regional cooperation in MDA, including a proposition from India to build a regional MDA fusion centre under the auspices of IORA. Although Australia has the most advanced national MDA system in the Indian Ocean, its regional cooperation arrangements are thin. Australia needs to think about how it might develop regional cooperation arrangements to the advantage of the region and itself. Another area under discussion is how to encourage greater cooperation among regional coast guard agencies. Most maritime security challenges in the Indian Ocean are of a law-enforcement nature, and it makes sense to place as much emphasis as possible on maritime law enforcement agencies. If done properly, this could reduce reliance on navies, which are expensive and more likely to be perceived as threatening to others. 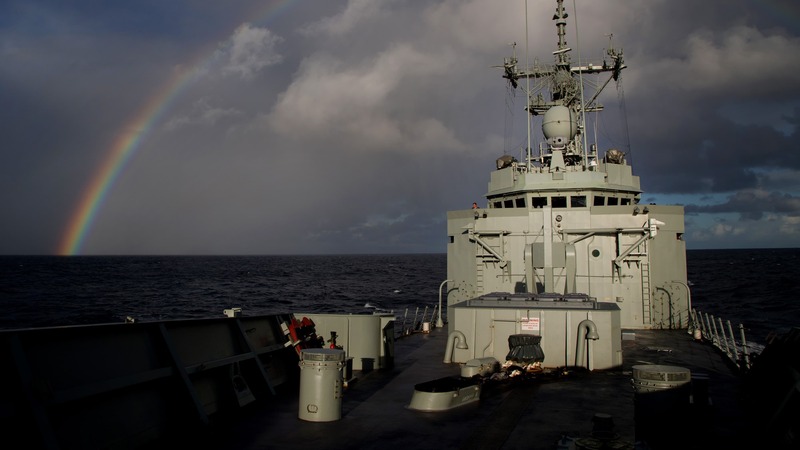 Australia can play an important role in helping to organise the coast guard agencies across the region, including in training and capacity building. This would require ensuring that Australia’s Maritime Border Command has the resources needed to play a greater regional role. Overlying these immediate issues and challenges is the constant need to reinforce the primacy of UNCLOS. Unlike in the South China Sea, where UNCLOS is under great threat, among Indian Ocean states there is broad acceptance of UNCLOS principles as the charter for littoral states and extra-regional users. The primacy of UNCLOS in the Indian Ocean was reiterated by the 2017 Jakarta Concord in which IORA member states committed to “ensuring that countries in the region can exercise freedom of navigation and overflight in accordance with international law, including UNCLOS, as constitution for the Ocean”. Indian Ocean states need to constantly reiterate the primacy of UNCLOS and be careful to avoid actions that could inadvertently undermine the principles of freedom of the seas – for commercial and naval vessels alike. Any weakening of UNCLOS in the Indian Ocean will severely undermine efforts to bring some order to the frontier and build a stable and prosperous region.